Thanksgiving is almost here and I’d be remiss if I didn’t talk about decorating your tabletop for Thanksgiving. I have to be honest, I’m in the middle of a bunch of deadlines and am not going to be crafting anything…but that doesn’t mean my table will be sparse! I’m doing it the old fashioned way with the turkey in the middle and candelabras on either side. Food will be my decor…for the first few minutes anyway…haha! I will add that I’m using my grandmother’s china which I love to bring out for the holiday’s. Yes, paper is easier, but China is the green way and it makes my table feel special…someone will help with the dishes…right? Anyway, I thought I would share some sources of inspiration I found across the internet, starting with one from 100 layer cake. I know, it’s a wedding site… but every wedding has fabulous table settings and they have a beautiful post about one for thanksgiving. Click on the photo’s below for a quick link to more setting and tips. Point Click Home Decor has some great tips from Owner and head designer at Ovando in New York City, Sandra de Ovando. And if you forget the particulars about where the utensils go and who’s protecting who…is the knife protecting the fork from the plate???? Never mind…Emily Post will set us straight! Here’s a great idea for your home. Have you ever ran out the door and suddenly realized you need an umbrella? Or how about when you do the final “look” into the mirror and discover that your favorite four legged friend has shed all over your shirt or jacket? Chances are you’ve then wasted precious moments locating an umbrella or lint brush. Get those Photos out of The Box! 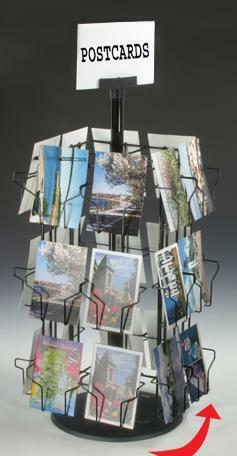 Great for Displaying Favorite Photos! I was visiting a friend the other week and saw this fabulous lamp (above) and thought it was such a great way to share photos with friends. If you’re anything like me, you have tons of photos somewhere in a box or two tucked away waiting for you to put into a photo album or scrapbook. Since that’s probably not going to happen anytime soon, why not display them? I spent a few minutes searching online today for a similar lamp to purchase for myself, but couldn’t find one, so I’m considering something like the rack above. You could probably find something similar at a flea market or vintage shop as well. Wouldn’t it be fun in a guest bedroom or family room? 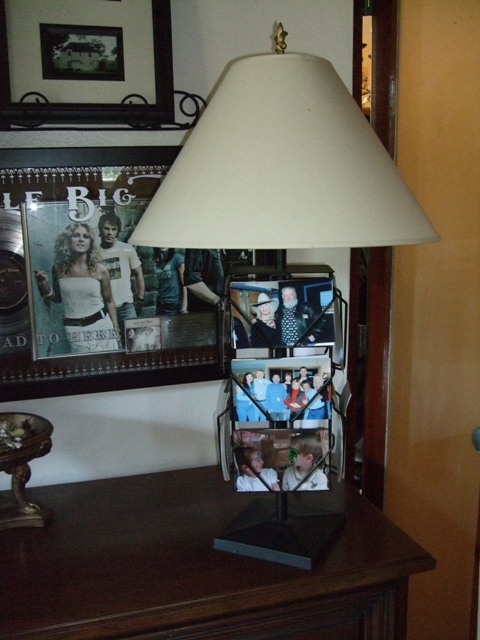 You could display a recent trip, photos from past generations, photos of family and friends, etc… I’m loving this idea! 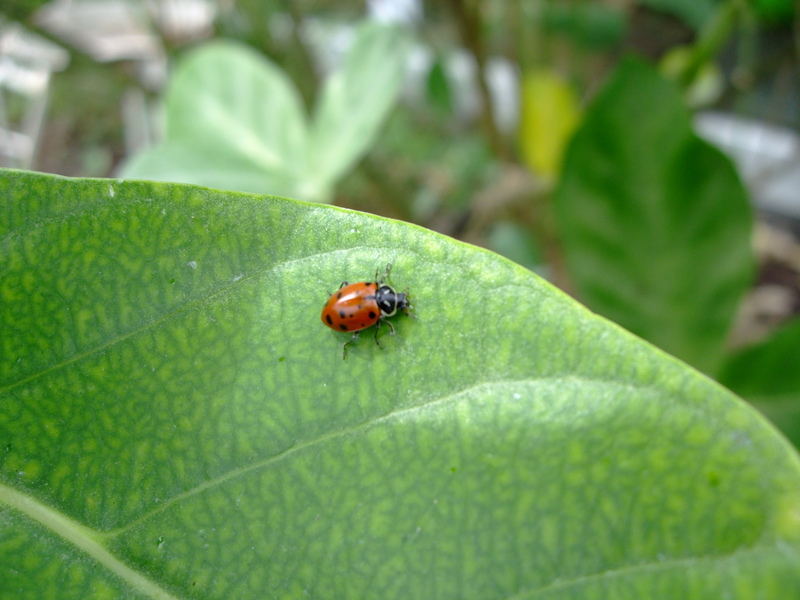 They say Lady Bugs bring luck! 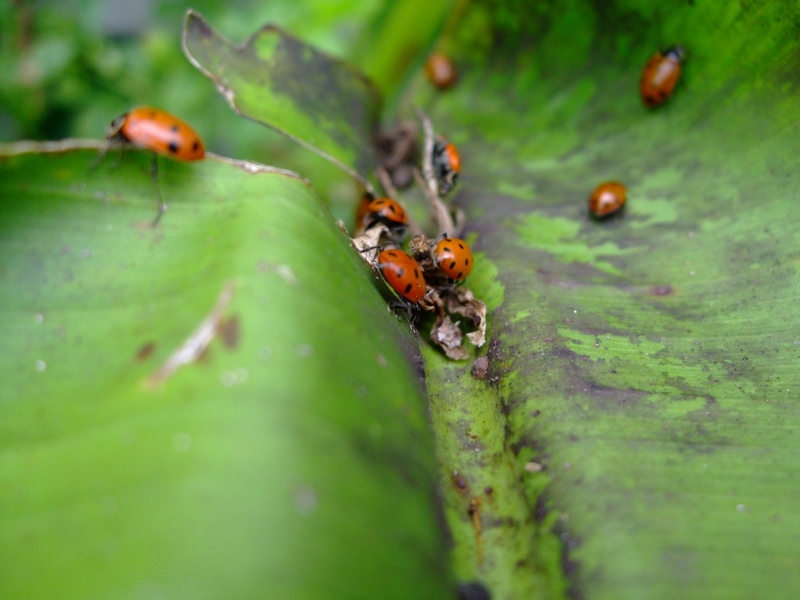 Did you know you could buy ladybugs? 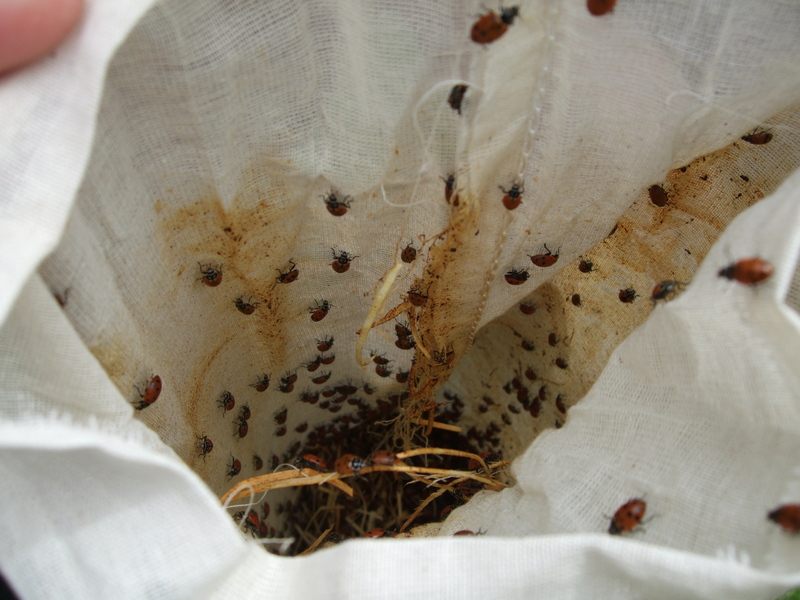 Why would you want to buy lady bugs?…by the thousands, I should add. As in 50,000 or more. 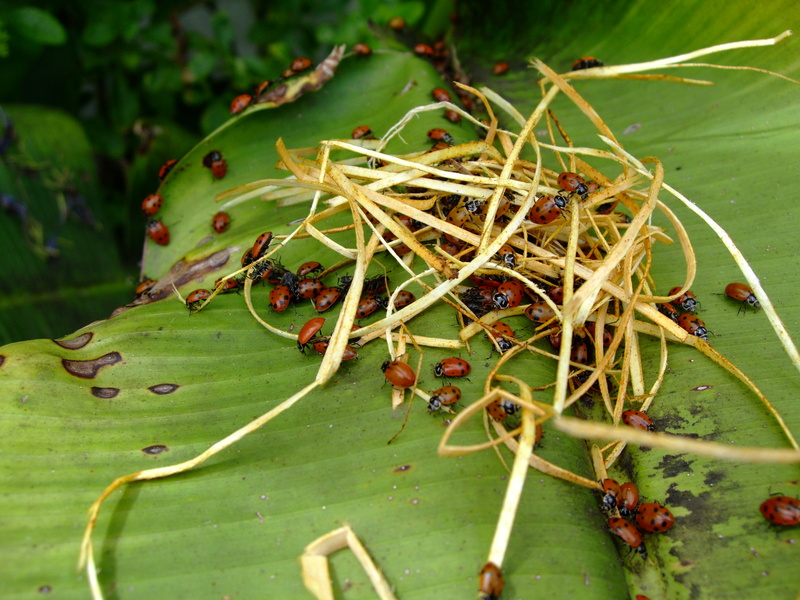 Apparently, gardeners in the know, understand that those lucky little bugs take care of all kinds of nasty things in your yard. 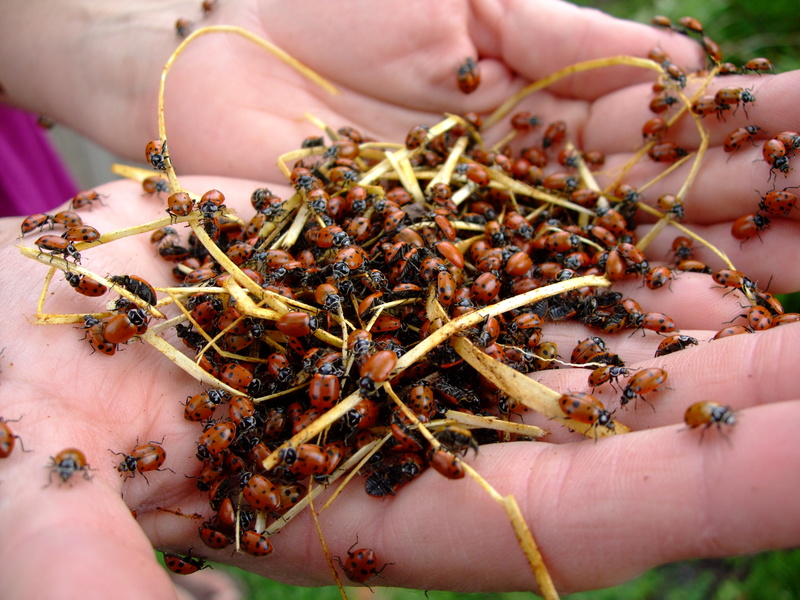 You can purchase 72,000 of them for $72.00 to cover and protect a 1/2 acre to 2 acres of your yard and garden, which is what a friend of mine in Florida recently did while I was there visiting. It was too cool to not share! Check my photo’s below! Unfortunately, I’ll have to wait till next year to do that here in the midwest! I have to say it was pretty interesting, although a little ticklish…Go get ’em lady luck! Put your Baskets to Work! How often do you work around the home and as you get to one room – you think of something that you needed from the room you were just in. Apparently, it happens to lots of us, because somewhere along the line, someone with a two story home was inspired to create a nifty little basket such as the one above just for stairs. This basket is perfect to store household items that need to be carried on your next trip up. Below are a few more baskets that you can use in your daily routine to save you both time and aggravation. 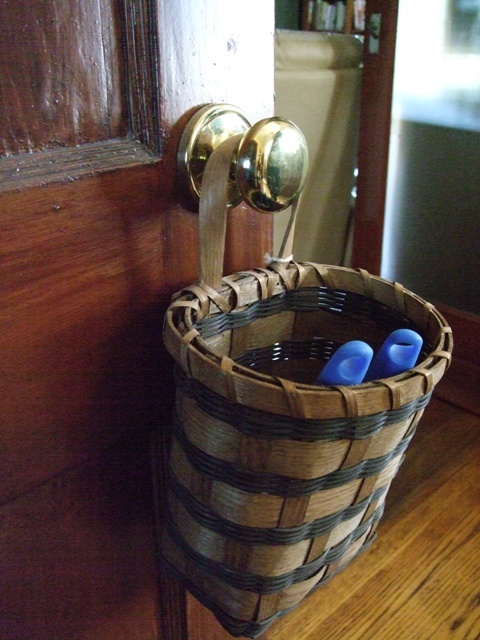 Designate a basket (preferrably with handles) as your room to room basket. Use it to carry items such as a cell phone, cordless phone, pen, notepad and anything that you need to have with you as you go from room to room. Take the basket idea a step further and put to work one such as this from the Container Store. Carry it with you every time you go from home, to the car and back to home again. Store it near the door you’ll use as you head to your car and fill it with items that need to be returned for credit, a water bottle, snacks, a shopping list, etc. 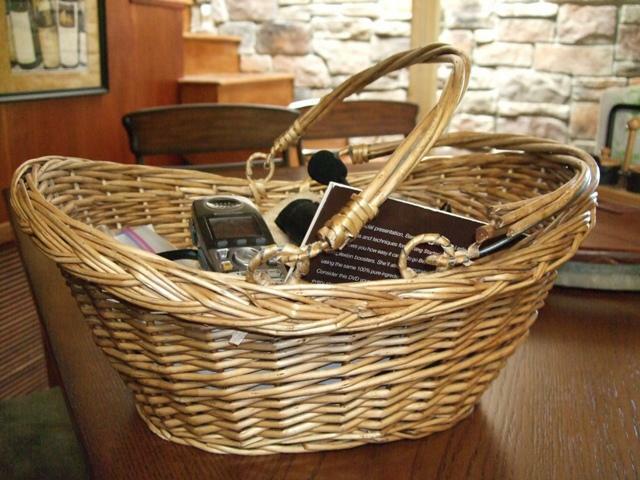 Baskets are a great way to help you keep your busy life on track.